Josie and Joe Bruin welcome one of the newest Bruins. UCLA was transformed this past weekend, as about 14,000 people came to campus for Bruin Day, which offers a sample of what it might be like to become Bruins. Everywhere on campus on April 13, there were sights and sounds that showcased the best of UCLA and campus life. The agenda included information fairs, 40 presentations, faculty lectures, campus tours and open houses of the residence halls. Admitted high school seniors and their families and supporters could learn about academic programs, financial aid, student activities, housing options, campus safety and more while getting a sense of the broad diversity of the student population. Students ready to commit were able to formally submit their statements of intent to register and have their pictures taken with Joe and Josie Bruin. Dickson Plaza was a prime spot for families on Bruin Day. Justin Caram, assistant professor of chemistry and biochemistry in the UCLA College, and graduate student Dayanni Bhagwandin. Climate change touches every life on the planet — so why are so many environmental scientists white men? Last year, UCLA became the first university to launch a center for diversity in environmental science to counter the problem. Its goal: to inspire a generation of leaders that actually matches the demographics of the U.S. population. This year, the Center for Diverse Leadership in Science’s first class of fellows takes flight, building a critical mass to ensure students and faculty of diverse backgrounds have what they’ll need to succeed, from funding to a supportive community of scientists with similar backgrounds. Karen McKinnon, a professor in the UCLA Institute of the Environment and Sustainability knows only too well how that sense of isolation affects a student. As one of just a few women in her doctoral program, McKinnon experienced first-hand what it’s like to be a minority in an academic setting. In the United States, 86 percent of the environmental science workforce is white and 70 percent is male, despite the fact that the EPA found in a 2018 study that non-white communities had a 28 percent higher health burden from environmental issues. Those under the poverty line had a 35 percent higher health burden. The inaugural fellows class consists of 47 high school, undergraduate students, graduate students and postdoctoral researchers, along with 22 faculty fellows from UCLA. The students will work in groups on research and outreach campaigns while the faculty fellows serve as mentors and role models. Postdoctoral scientist Adeyemi Adebiyi and Jasper Kok, associate professor of atmospheric and oceanic sciences. The fellows aim to break barriers that prevent women and minorities from pursuing academic careers in the sciences through group collaboration, workshop training sessions and community outreach. Students are paid for their work with financial support from the National Science Foundation and private donations. The fellows aim to break barriers that prevent women and minorities — including people of various gender identities and sexual orientations — from pursuing academic careers in the sciences through group collaboration, workshop training sessions and community outreach. Students are paid for their work with financial support from the National Science Foundation and private donations. Ronald Thompson, a second-year environmental science student from Sacramento, said he is one of few black students in most of his classes. For his research component of the fellowship, Thompson works with other undergraduates in a group overseen by a doctoral candidate to analyze sediment from ancient lakes across the western United States. Their research aims to discover how those lakes persisted through past changes in climate — and how they might react to modern climate change. While the work is fulfilling, Thompson said the best part is working with others just as passionate as himself about the environment. Next year, Thompson will be paired with a faculty fellow for one-on-one mentorship, a cornerstone of the fellowship program. Tripati said that having a continuum of scientists at all levels — from high school students to professors — is an effective strategy to build professional communities that are inclusive of all forms of diversity: gender, sexual orientation, gender identity, race and ethnicity. Lack of diversity in such programs can have global implications when it comes to environmental issues, she added. One way to make students more comfortable in class is to encourage teachers to embrace inclusive teaching techniques, said Jasper Kok, who is one of the faculty fellows and an associate professor of atmospheric and oceanic sciences in the UCLA College. Every class includes a 10-minute exercise during which students work with their neighbors. “Techniques that engage students and let them work collaboratively help those students who feel like they don’t belong feel more at home and more likely to stay in that field,” he said. For student fellow Thompson, the benefits are more personal. “It’s an opportunity to give back to communities and be a role model to other college students, high school students and middle school students,” he said. 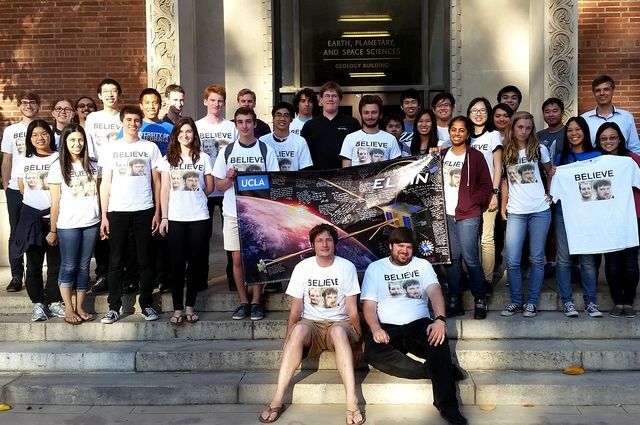 UCLA aims to be one of the few universities to ever complete such a sophisticated space science mission — designed and built by students — from beginning to end. Clockwise from top right: UCLA’s Kristy Edmunds, Darnell Hunt, Tracy Johnson, Brett Steele, Ananya Roy and Peter Sellars are among the 40 scholars who will participate. 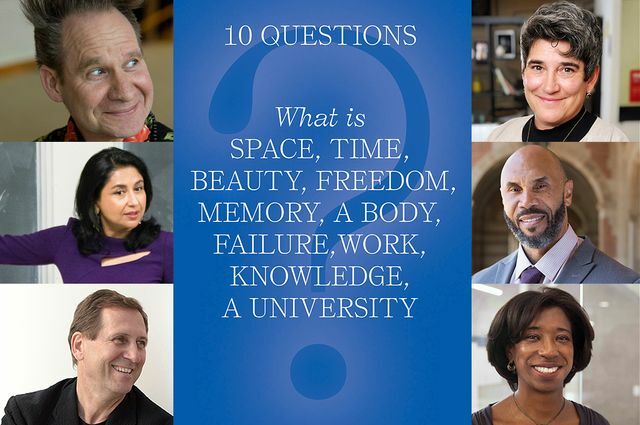 Giving community members a special opportunity to experience the conversations that drive innovation at the university, this fall the UCLA School of the Arts and Architecture will present “10 Questions,” a hybrid academic course and public event series that brings together leading minds from across the university. Beginning Oct. 2, every Tuesday for 10 weeks UCLA faculty members from disciplines as diverse as dance, medicine, photography, astrophysics, athletics, Chicana and Chicano studies, law, philosophy and religious studies will join UCLA Arts Dean Brett Steele to explore a fundamental question such as: What is space? What is failure? What is freedom? A new platform for UCLA Arts, this initiative seeks to stimulate dialogue and exchange, and cultivate a greater understanding of the profoundly interdisciplinary nature of knowledge production in the 21st century. Faculty participants include fine art photographer Catherine Opie; sociologist and co-author of the Hollywood Diversity Report Darnell Hunt, who serves as dean of the division of social sciences in the UCLA College; astronomer and MacArthur fellow Andrea Ghez; labor and immigration expert Abel Valenzuela; artist, curator and Executive and Artistic Director of CAP UCLA, Kristy Edmunds; neuroscientist and dean of the David Geffen School of Medicine at UCLA, Dr. Kelsey Martin; theater director and MacArthur fellow Peter Sellars; artist Andrea Fraser; psychological anthropologist and dean of the UCLA Graduate School of Education and Information Studies, Marcelo Suárez-Orozco; architect Greg Lynn; UCLA gymnastics head coach Valorie Kondos Field; director of the Institute on Inequality and Democracy at the UCLA Luskin School of Public Affairs, Ananya Roy; and Shakespeare scholar and poet Robert Watson. “10 Questions” debuts an innovative program format for UCLA Arts. Both an upper-level undergraduate course and a public event series, it is the first course of its kind at the school that invites the public into the lecture hall to experience firsthand exciting, interdisciplinary conversation among some of UCLA’s most esteemed faculty. Each Tuesday evening from Oct. 2 through Dec. 4, the public will join UCLA students in class for an intimate panel discussion featuring two faculty from the School of the Arts and Architecture, and two from across the university. To further the program’s goal of helping bring the creativity and research energy of UCLA to the public, all of the lectures will be recorded for public distribution and made available on YouTube. The course, conceived and developed by Victoria Marks, associate dean of academic affairs, with Anne Marie Burke, executive director of communications and public relations for the school, places the arts at the center of interdisciplinary scholarly discourse. Tuesdays, Oct. 2 through Dec. 4 from 6:30 to 8:30 p.m.
Oct. 2: What is space? Oct. 9: What is time? Oct. 16: What is beauty? Oct. 23: What is freedom? Oct. 30: What is memory? Nov. 6: What is a body? Nov. 13: What is failure? Nov. 20: What is work? Nov. 27: What is knowledge? Dec. 4: What is a university? The launch of the UCLA-student-built ELFIN satellites aboard a Delta II rocket from Vandenberg Air Force Base at 6:02 a.m. on Saturday, Sept. 15. For the dozens of UCLA students, faculty, staff and alumni braving the chilly temperatures near Vandenberg Air Force Base on Saturday morning, the brilliant ray of white that radiated across the predawn horizon was the best goodbye ever. At 6:02 a.m. a Delta II rocket lifted off from the base in Lompoc, California, carrying ELFIN — twin micro-satellites, each weighing about eight pounds and roughly the size of a loaf of bread — into orbit aboard NASA’s ICESat-2 mission. Saturday’s launch was the culmination of years of planning, dreaming, fabricating, designing, assembling, testing and programming, virtually all of it done by more than 250 UCLA students, most of whom were undergraduates. “It’s really been a very emotional moment for a lot of students here,” said Ethan Tsai, UCLA graduate student in electrical engineering and ELFIN’s project manager. 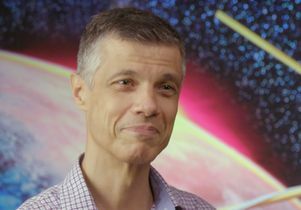 Tsai, more than two dozen other current students, alumni and faculty, including Vassilis Angelopoulos, professor of space physics and ELFIN’s principal investigator, watched from the VIP area. Luis Frausto, 34, a 2010 UCLA mechanical engineering graduate, who worked on early prototypes of ELFIN, said he was in “total awe” watching the launch from a public viewing site near Vandenberg Middle School. Frausto, now a design engineer at TAE Technologies, Inc., was one of more than 200 (a record for the Vandenberg public viewing site, according to a base spokesman) who braved the chilly temperatures, including about 40 UCLA ELFINers and a few of their friends, who counted down to zero as the launch went off, sending the crowd into cheers and applause. 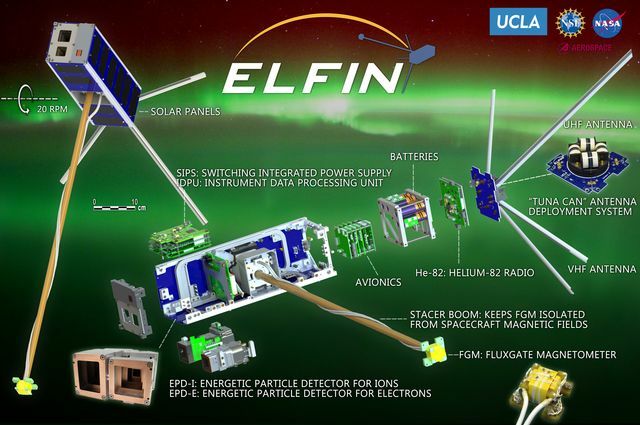 ELFIN, which stands for Electron Losses and Fields Investigation CubeSats, is designed to help scientists better understand magnetic storms in near-Earth space. These storms are a typical form of “space weather” that is induced by solar activity, including flares and violent solar eruptions. Magnetic storms can result in damage or even destruction of orbiting satellites that humans depend on for GPS, communications and weather monitoring. Space weather research is also crucial for space tourism and space exploration. “It’s weird. It’s surreal. It was 10 years gone in like 20 seconds,” said Lawson, who earned his bachelor’s degree and Ph.D. in geology from UCLA. The 37-year-old was one of the original ELFINers 10 years ago who worked on prototypes for what would become the satellites that launched this morning. 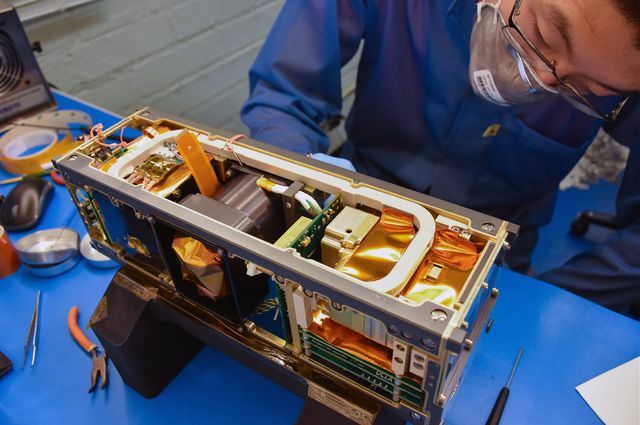 Work began five years ago on the actual satellites that went into orbit, aboard NASA’s final Delta II rocket mission. Jessica Artinger, an astrophysics major who will begin her fifth year at UCLA this fall, left at 1 a.m. from Fountain Valley in Orange County to make the trip. Since fall quarter 2017, Artinger has led the fabrication team. 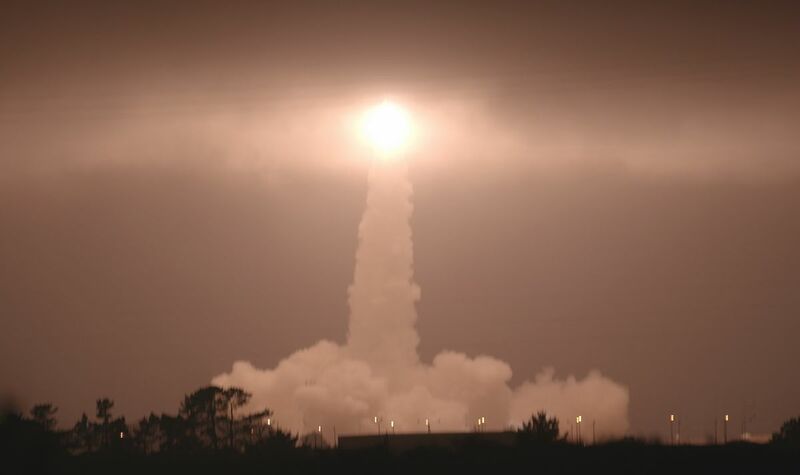 Louise Tamondong, who is part of ELFIN’s flight operations team, said she got chills watching the launch, which was easily visible for just a few seconds before the rocket was shrouded in thick clouds. About 10 seconds after the sky lit up, the crowd finally heard the roar of the rocket’s engines. “It felt so unreal that everything that we worked for is going into space … it only felt real when we saw that bright light and everything going up,” said Tamondong. After liftoff, she headed back to Westwood to listen for the first signal from the orbiting ELFIN through an antenna on the roof of UCLA’s Knudsen Hall. They received a signal around 4:30 p.m., confirming that both probes survived the bumpy ride to orbit. The team will now begin commissioning the spacecraft systems and instruments to prepare for the science operations phase. 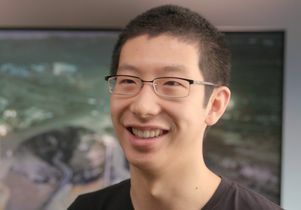 As a new Bruin, Sixue Xu wasn’t part of the team that designed, tested and built ELFIN. But the graduate student in space physics will be among those who stand to benefit from ELFIN’s work. A first-of-its-kind crowdfunding campaign raised more than $69,000 for the UCLA Undergraduate Research Centers in the span of two weeks, providing critical funding for students to pursue mentorship and research opportunities throughout campus. Tama Hasson, Assistant Vice Provost for Undergraduate Research, sees first-hand how these resources can transform a student’s career path. Undergraduate Research Week is an opportunity for students across campus to share their research. 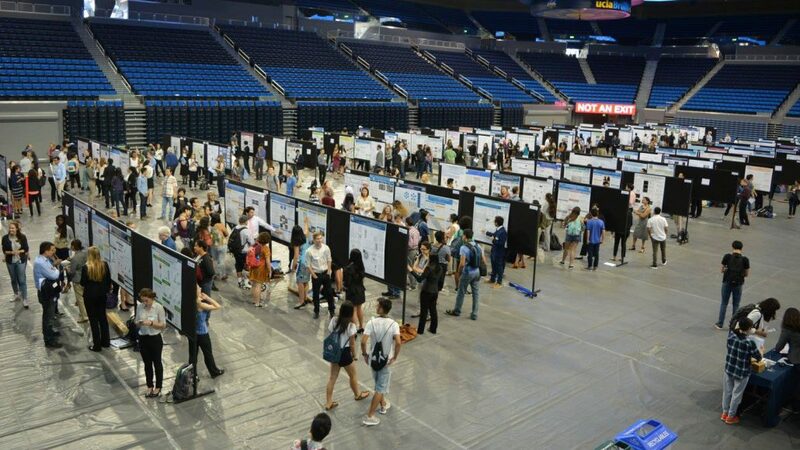 Hosted on the UCLA Spark crowdfunding site, the campaign launched just before Undergraduate Research Week, an annual event that brings student researchers from across campus to present their work. After just two weeks, more than 200 donors had contributed nationwide. For the students who rely on the research centers to deepen their research portfolio, this funding will have a significant impact on their undergraduate experience. Generations of students and faculty have relied on the Undergraduate Research Centers as catalysts for academic and professional growth. UCLA is the only university in the country to have two research centers, one focused on the sciences and another focused on the humanities, arts and social sciences. 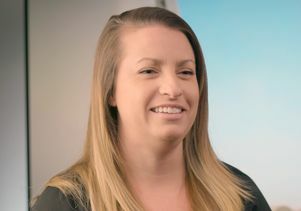 Together, the centers connect students with mentorships and opportunities to conduct research with top UCLA faculty, providing hands-on experiences that shape their careers. The campaign also accomplished something invaluable – visibility. As a result of this dedicated effort, the Undergraduate Research Centers have built a community of supporters who are invested in the success of their students. That community will prove vital as the centers continue their work providing crucial resources for undergraduate researchers. Whitney Arnold, Director of the Undergraduate Research Center–Humanities, Arts, and Social Sciences, is optimistic about the show of support.